Scrub Pad is ideal for hard & sticky Dirt, it is made with special nylon fibers which is flexible & highly durable. Pad contain uniform alox in entire pad which cleans utensils like knife without damaging or scratching its surface. Uniform alox ensure that scrub gives same performance as long as it lasts. Alox is in higher quantity for tough cleaning. 3) Hygienics - It does not pick odur/Oil. 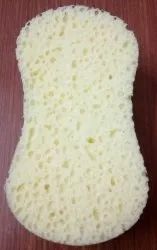 We can offer bulk quantity of varierty of sizes of Dish Wash Scrub Pads for domestic and exports market. We welcome enquiries from bulk buyers and converters who are keen to source best quality and most economical prices. 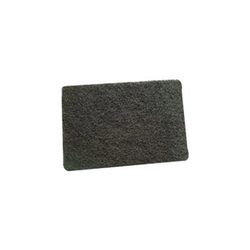 Green Scouring Pad Any Size and Thickness. Very good Quality. Better that Chinese Products.